What is the Historic Environment Record (HER)? 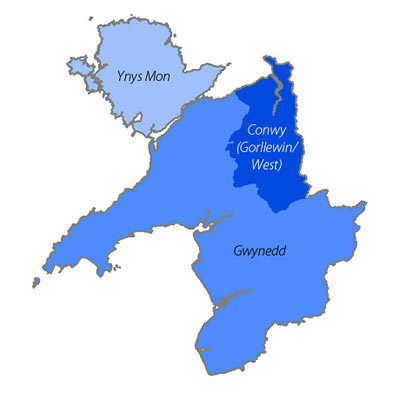 The Historic Environment Record (HER) for north-west Wales aims to provide comprehensive information regarding the known archaeological and historical sites, monuments, buildings, artefacts and landscapes in the former County of Gwynedd. It holds around 20,000 records collected from a variety of sources since the late 1970s, and covers all aspects of human activity in the landscape from early prehistory to the twentieth century. Details of well- and lesser-known sites can be found, in addition to records generated by archaeological projects undertaken in the area. Information is held in the form of a computerised database supported by digital mapping (a Geographical Information System). This is supplemented by collections of maps and paper records (including details of listed buildings and scheduled ancient monuments), slides, photographs (film and digital; both aerial and ground), and historic maps. The HER also has access to an extensive reference library of relevant texts and journals. The Historic Environment Record is the primary source of information on all aspects of the historic environment of north-west Wales, and it is the mechanism for recording the on-going process of its interpretation, conservation and management.